What the US got in the quickly renegotiated US-South Korea free trade deal was more access for US auto makers into Korea’s auto markets. And quotas on Korean truck imports into the US. Korean auto companies, Kia and Hyundai, had already made significant inroads to the US auto market. US auto makers have become dependent on US truck sales to stay afloat; they didn’t want Korean to challenge them in the truck market as well. Except for these auto agreements, there were no major tariffs or other obstructions to South Korea imports to the US. Not surprising, the South Koreans were ecstatic they got off so easily in the negotiations. Clearly, the US-South Korea deal had nothing to do with Steel or Aluminum. If anything, it was a token adjustment of US-Korea auto trade and little more. In the most recent development concerning NAFTA negotiations, Trump has extended the deadline for a final revision for another thirty days—a development which means the parties are very close to a final resolution. The revisions will most likely look like the South Korean deal in many details—with quotas (not tariffs) on auto parts trade and more US access for US business investment and token limits on imports to the US. After NAFTA comes Europe, later this year and in 2019. Like the NAFTA negotiations, Europe deadlines on steel and aluminum tariffs were just extended another thirty days. That’s just the beginning of likely further extensions. Europe will be less amenable to steel, aluminum or any other tariffs than the US NAFTA or South Korean partners. French president Macron’s visit last week to the US should be viewed as the opening of negotiations on trade between the US and Europe. But the European economy is again weakening and France, Germany, the UK and others are desperate to maintain export levels, which is the main means by which they keep their economies going. 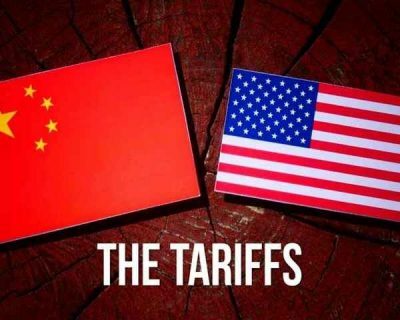 Except for the case of China, therefore, the Trump trade war is mostly tough talking trade for show. Trump wants some token concessions from its US allies trading partners. Token concessions he can then ‘sell’ to his political base in an election year. He’s playing to his ‘America First’ economic nationalist political base, agitating it for electoral purposes next November. He is in election mode, giving campaign speeches throughout the US as if this were September 2016 again. He may also be mobilizing that base in anticipation of the eventual firing of Mueller he plans and the political firestorm that may provoke from the traditional elites in the US. He’s given them massive tax cuts and now some gains from trade negotiations without upsetting the global capitalist trade structure he once promised to do. The second part of this three part series will address the China-US element of Trump trade policy and strategy. Dr. Rasmus is a frequent contributor to Global Research.